Please check our Club Policies for additional information. If you cannot locate the answer to your question, please contact us. What does it cost to join GTGP? Membership cost for the upcoming season remains the same as in our first ten seasons. The annual membership fee is $100. No refunds after first event. 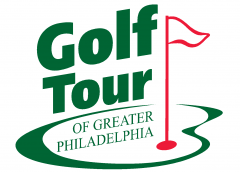 This fee now includes a USGA handicap through the Golf Association of Philadelphia (GAP). Membership provides you playing privileges for all events, except for any special events that require qualification. How much do events cost? Costs vary depending on the course, time of year, day of the week, and other factors. The average event cost is about $75. Unless otherwise noted, GTGP charges the standard course greens fee with a surcharge of $15. That covers all club expenses. Roughly from high to low those are end-of-year trip, weekly prize money, season long prizes, and miscellaneous expenses (charitable, web, trophies, …). Of course, prizes come as credits towards future events. It’s an amateur league. Registration details for each event are posted several weeks before the event on our web site. Once details are posted, you can register for an event using the simple online registration form in MyGTGP. Payment may be made electronically, by check, or by cash. Deadlines for registration vary by event, but range from about one week to two weeks prior to the day of the event. What formats are GTGP events? Most events are individual low net, however, additional formats are occasionally used. In 2019 we are introducing some match play competitions. What prizes can I win for each event? At each event, 1st, 2nd, and 3rd place finishers win credit toward the registration fee for a future GTGP event. The value of the credits increase for majors and any special events where you see the purse is more than $5,000,000. Optional closest-to-the-pin and skins pools are also available at each event. Is there a minimum number of events that I have to play? No. You may play in as many or as few events as you like. Of course, playing in more events increases your potential for earning season championship points (GTGP $) and qualifying for any special events. Members must play in Ten events to qualify for any special events and other season-long awards. How are season long awards determined? Players earn points (GTGP $) based on their finish each week. These points are compiled in a season-long “money” list that is used to determine season awards and decide qualifiers for any special events. Point distribution for each event is modeled after the PGA Tour’s own formula for money distribution. Each event has a different “purse”, with majors having the highest. To qualify for season long awards you must play a minimum of 10 events. Do I have to have a USGA handicap? All members must have a USGA handicap to earn prizes in events. We will provide you with an official USGA handicap (through the Golf Association of Philadelphia) as part of your membership fee. If you do not currently have a USGA handicap prior to joining GTGP, we will ask you for a score history to help establish your handicap. How do I keep track of my handicap? We post all scores from GTGP events automatically. To be consistent with USGA handicapping policy, members must post all scores from play outside of GTGP, whether those scores are from tournaments or just casual play. All scores must be posted online through the GHIN system. Our golfers range from low to high handicappers, and include both men and women. There is no specific requirement to join, and all events are net (using handicaps) to encourage fair competition. However, we do adhere to the maximum handicap index limits suggested by the USGA (36.4 for men and 40.4 for women). What tees do you play? Members can select their own competition tees. Though it varies by course, course distances will typically measure 6000 to 6400 yards. Handicaps are adjusted according to USGA procedures to allow for play at multiple tee selections. Senior tees are available for players age 60 and over. Women will play the standard women’s tees for the course. We adhere to the USGA rules of golf for all events. Gimmes and mulligans are not permitted. We also have a few local club rules. Do you monitor pace of play? Yes, we strongly feel that a round of golf should be completed in a reasonable amount of time. Members who repeatedly engage in slow play will be warned, given late tee times, and if necessary, penalized. Can I bring a guest to a GTGP event? Absolutely! We encourage all members to bring guests to GTGP events. However, guests may play in a maximum of two events prior to joining the club and are not eligible to win GTGP$ or event prizes, with the exception of optional closest-to-the-pin and skins pools. GTGP is a non-profit organization, with a volunteer Board of Directors managing the events and club activities. Is there a deadline to join? No. We accept membership applications at any time.